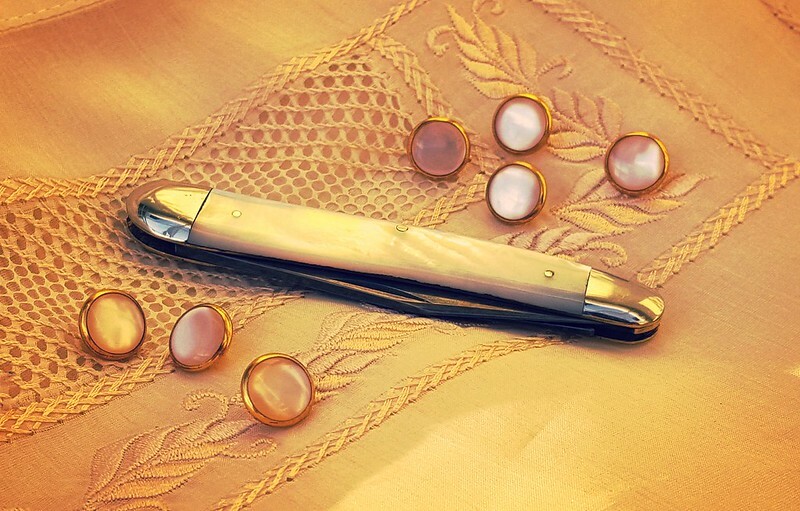 Discussion in 'Traditional Folders and Fixed Blades' started by HFinn, Sep 15, 2018. 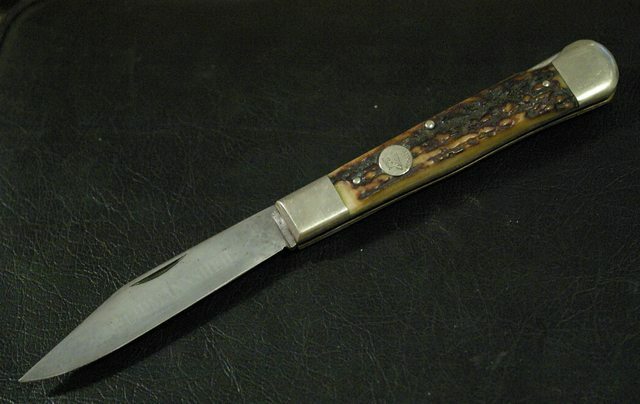 I have an interest in European traditional knives and have a small collection of these, Otters being some of my favourites. 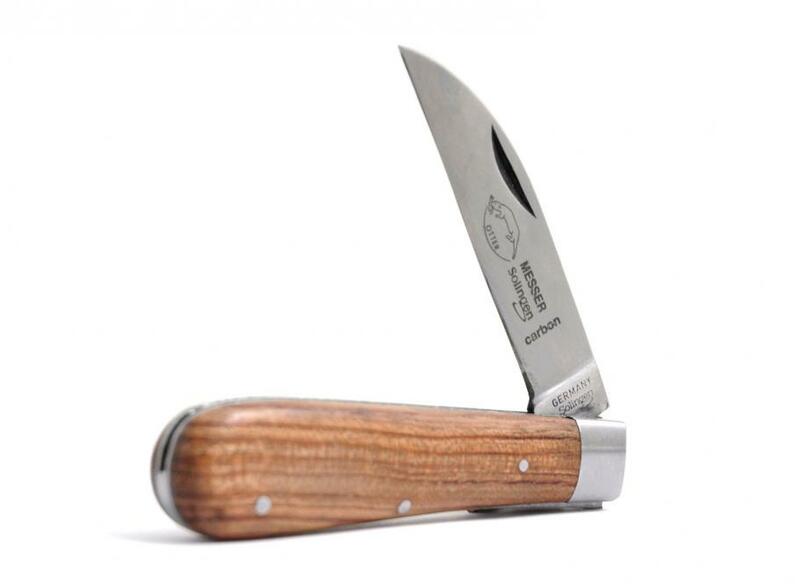 These are reasonably priced, well made slip joints and Mercator brand lockbacks. Below are my Otters so far. 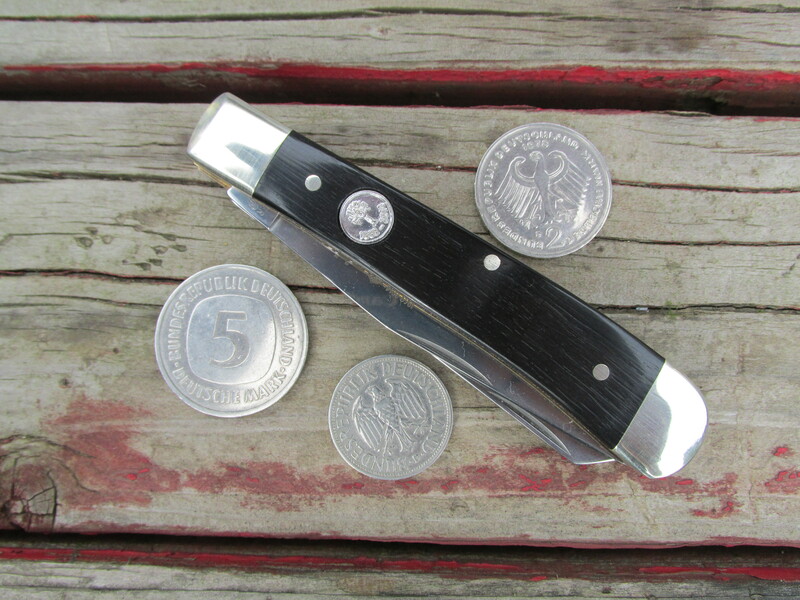 Show us your Germans: Bokers, Otters, Schliepers and whatever brand you have! Misplaced Hillbilly, SV-97, Icky Thump and 13 others like this. Misplaced Hillbilly, Icky Thump, HFinn and 1 other person like this. 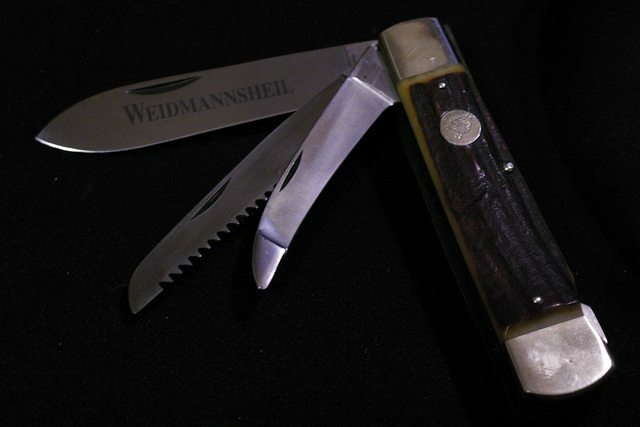 How about a Weidmannsheil Stag Lockback? Travman, Misplaced Hillbilly, Icky Thump and 15 others like this. Thanks to a few European members of the porch my interests has also expanded in that direction. 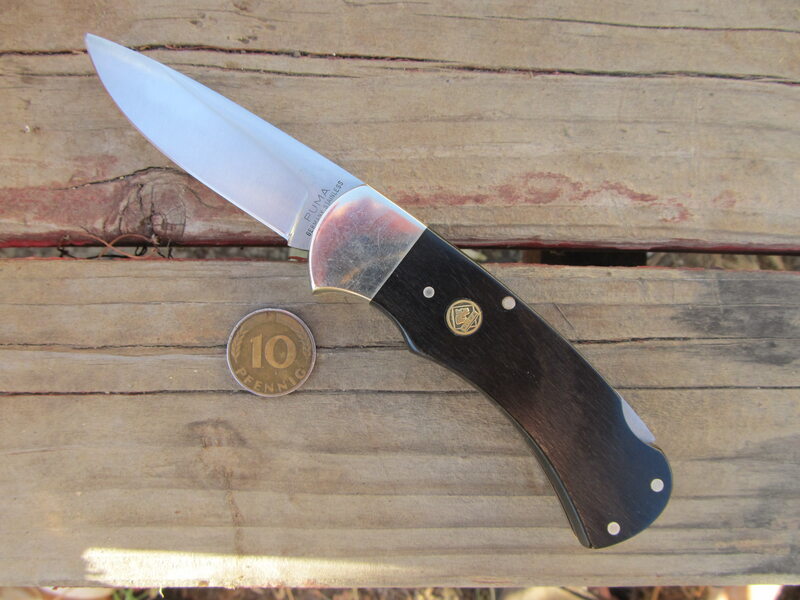 This simple knife is carried more than any other I own with the exception of a Mudbug carried in a belt sheath. I like everything about it. It has a vicious snap! What a knife Will! Can you give an idea of it's age? Travman, Misplaced Hillbilly, Icky Thump and 12 others like this. Check out this thread. 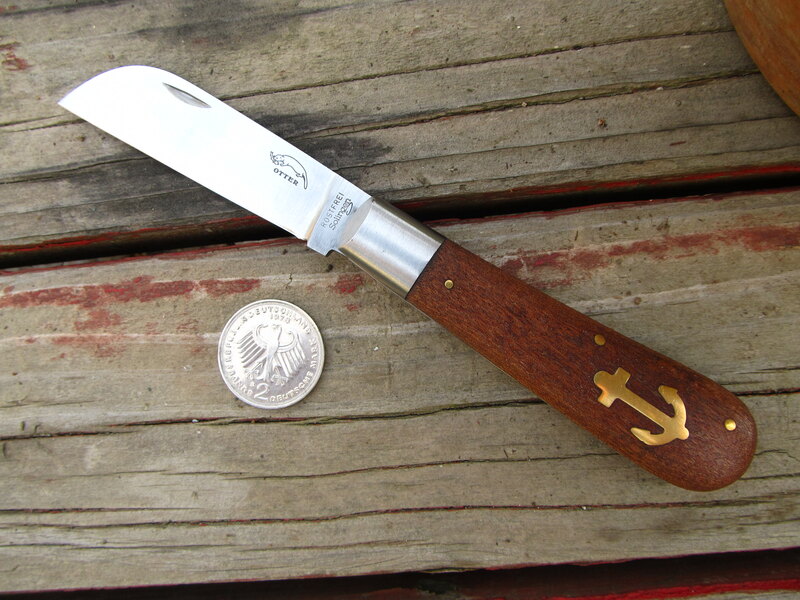 Quite a few Otter-Messer knives and other german knives. Travman, Misplaced Hillbilly, Icky Thump and 5 others like this. Thank you indeed! 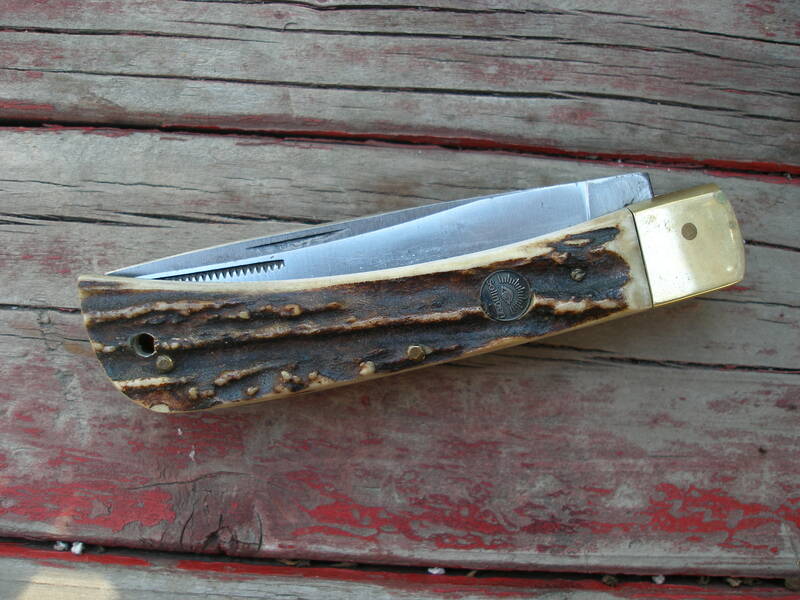 I can't really say, not that old, 1990s I suspect, nice stamped blade though. Absolutely love that stamped blade. Sure wish more manufacturers would consider stamping at least an occasional blade pattern. Will Power and zolthar like this. 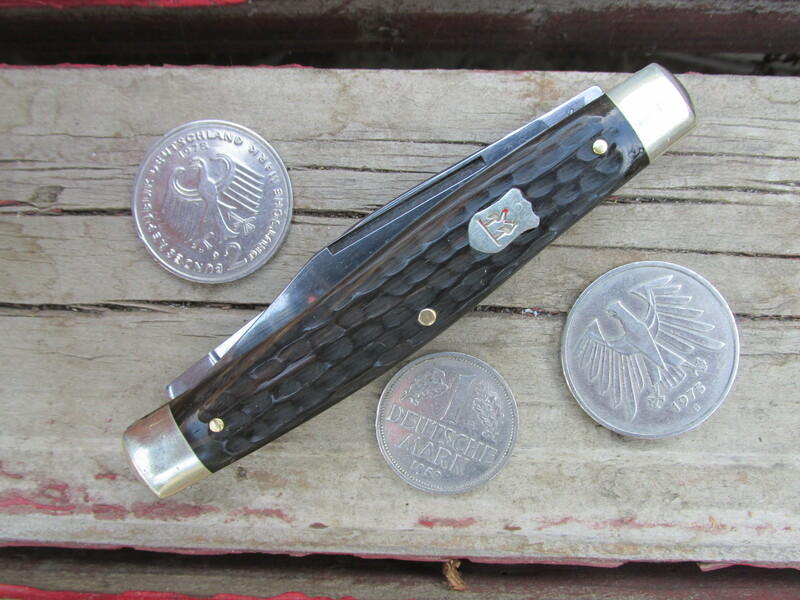 These are the German knives for which I have pictures handy. I have others, too, both folders and fixed blades. Travman, Icky Thump, Gevonovich and 11 others like this. Travman, SV-97, Cambertree and 11 others like this. 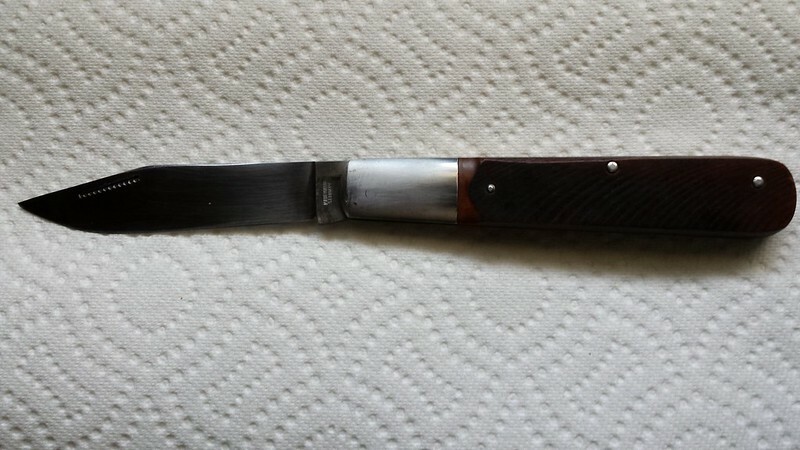 lambertiana, can you tell me some more about these cool knives? 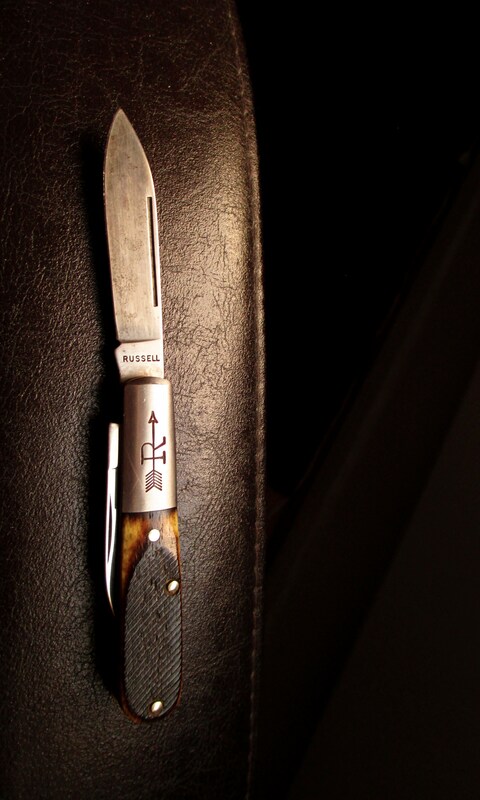 Puma 725, purchased in knife store directly across from the Kölner Dom (Cologne cathedral) in 1981. As you can see, my relationship with German knives goes back a ways. 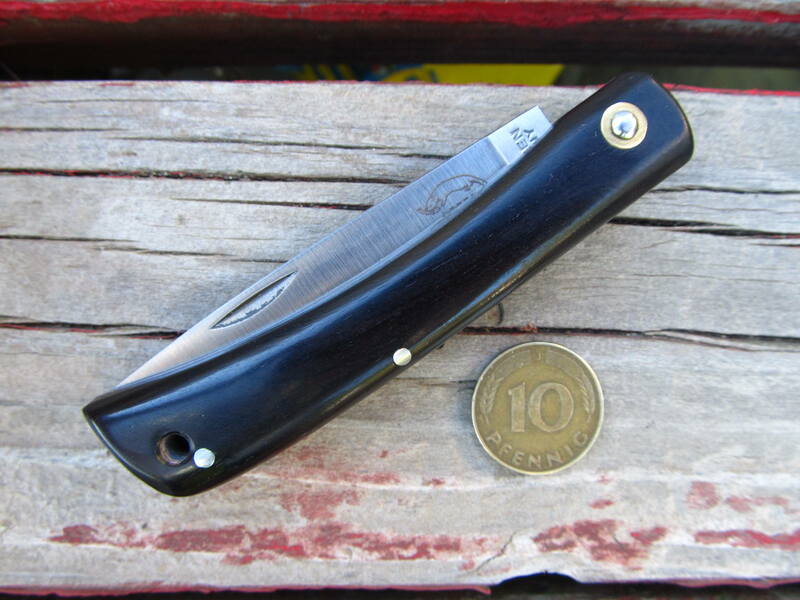 The only brands that I bought before that are Precise International (a standard export stag-handled fixed blade that I bought around 1968) and Buck, I picked up a 110, 301, 501, 118, and 119 in the '70s. 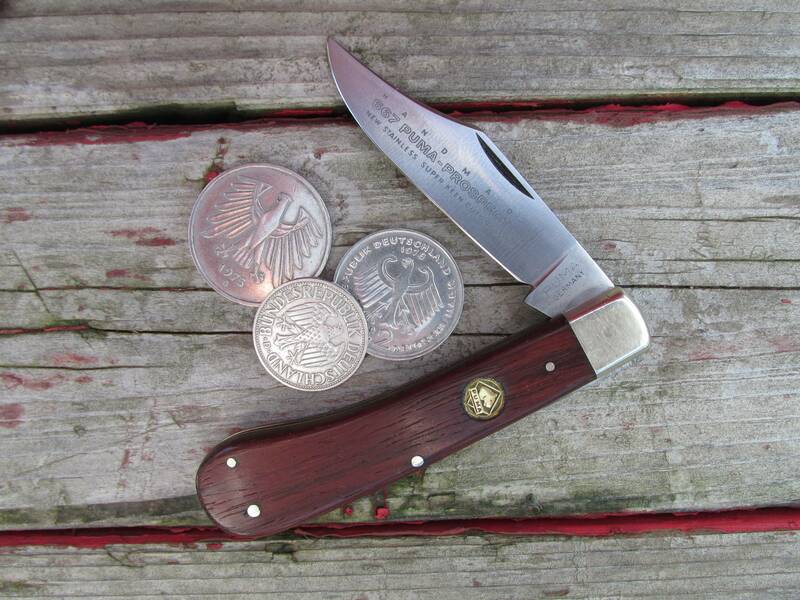 Of the current production German folders the only brands that I would buy today sight unseen are Otter and Böker, and then only the Bökers that have the word Solingen on the shield or tang, which means that they were made in Germany. 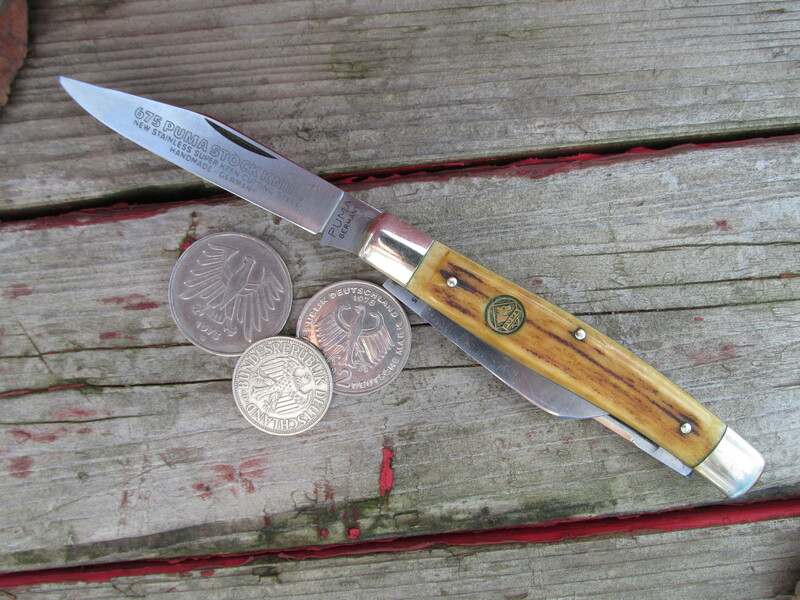 The other Böker knives are made elsewhere, even if it says Germany on the shield or tang. The German-made Bökers are still well made. There may be other brands that are still good, I just don't have experience with them. If Olbertz is still making Eye Brand, they should be good, too. 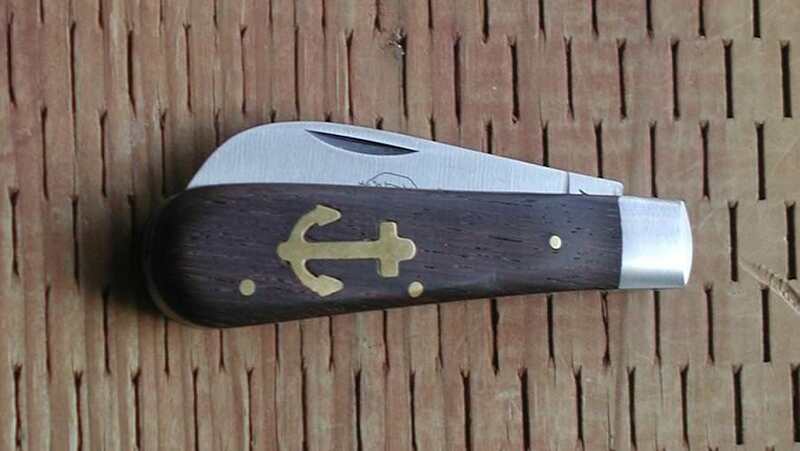 This might be my next Otter knife. Travman, SV-97, Cambertree and 1 other person like this. I picked this up a few years ago, seems to be good overall quality. Misplaced Hillbilly, Icky Thump, WinchesteRalox and 2 others like this. rbeggs, Icky Thump, kai76 and 5 others like this. There may be other brands that are still good, I just don't have experience with them. If Olbertz is still making Eye Brand, they should be good, too. I bought two Eye Brands directly from Olbertz's site two years ago. 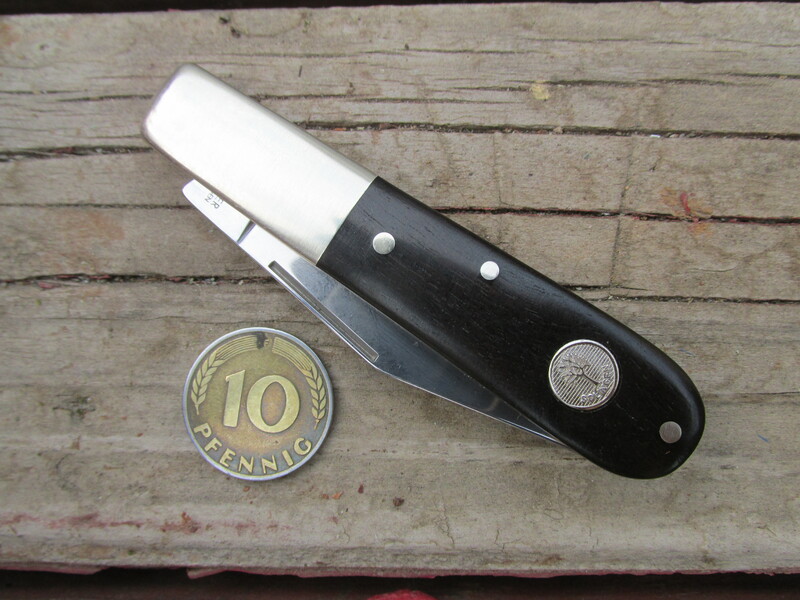 They should be made in Solingen (they're stamped as such) but are of poor quality imo. One was a small toothpick that had gaps between the end cap and the stag, bad centering, blade play and gaps between the spring and liners. 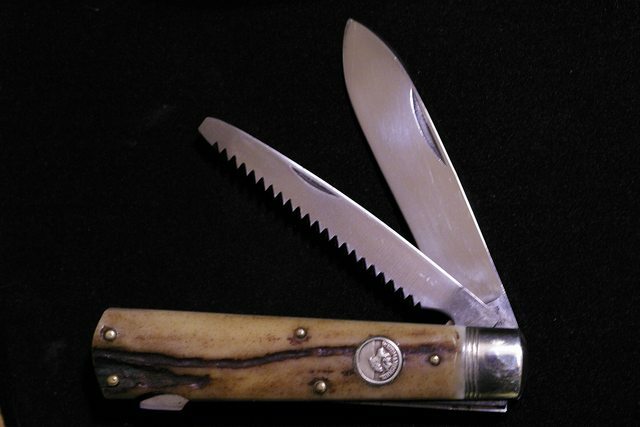 The other was a half congress with nice jigged bone but it was polished only on the back (along the springs), mark and pile side, had an unfinished center pin on one side which I had to sand down, awful blade play and a ding in the edge of the main blade where it hits a ridge on the inside of the spring. It looks very blocky and half finished. 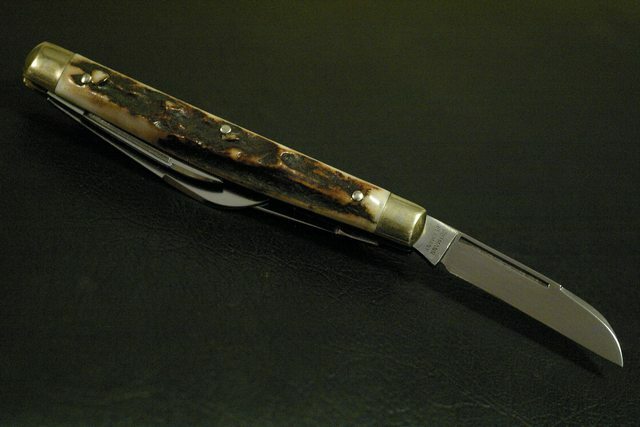 From what I've seen on this forum Rough Rider does a far better job in applying match strikes to their nail nicks than Schliepper, they were done poorly on both my knives. All in all I was disappointed a lot and certainly won't buy another (a contemporary one) ever again. I hear the old ones are of good quality though. I don't know when this changed though. Any idea? 90s? 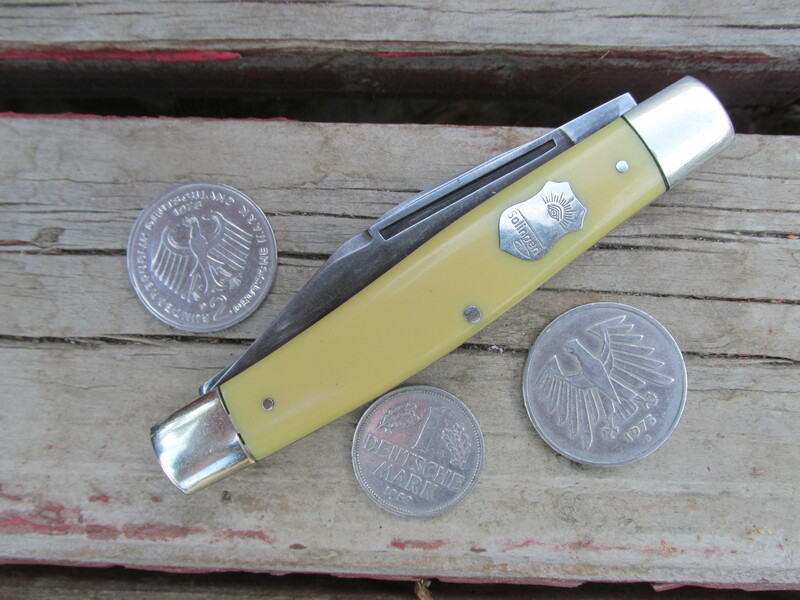 In my experience, eye brand knives( I call them German eyes) from about 1986 and earlier are fine quality. They are not the easiest brand to date. One thing I have noticed is these newer ones have match striker pulls and as ISKRA says they are poor quality. There may be exceptions but as a general rule the vintage ones never had matchstriker pulls. They had regular nail nicks. 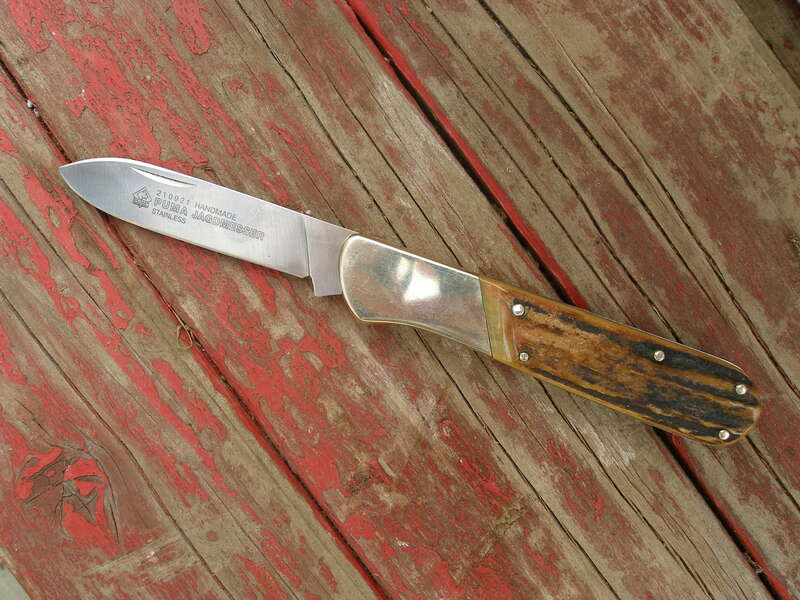 I bought a bunch of Eye Brand knives in the '90s and generally speaking they were pretty good. Most had good fit and finish, but a couple had significant gaps between backspring/liners/scales. From what I have heard, that is not terribly uncommon. 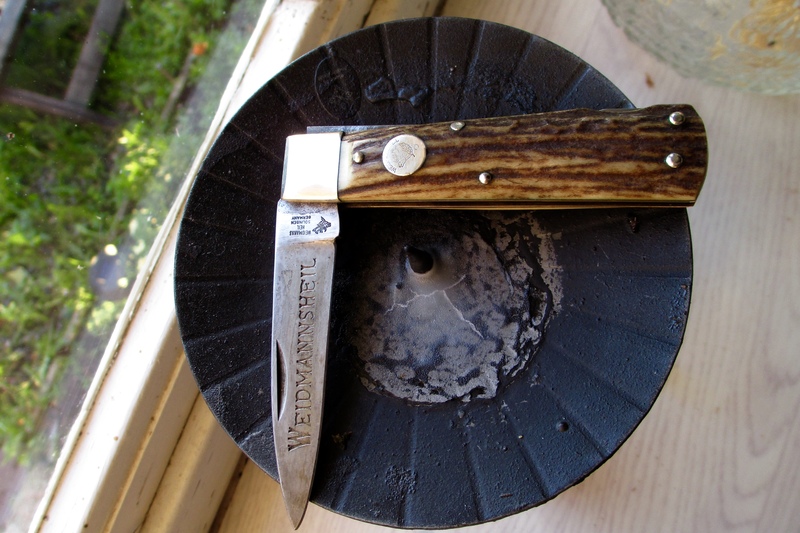 One thing that I find to be very consistent with all of the Eye Brand knives that I have had is that the blades were very well ground with thin edges. None of mine had the match striker pulls, which seem to have been introduced after I bought mine. I can't comment on the overall quality of the newer production. 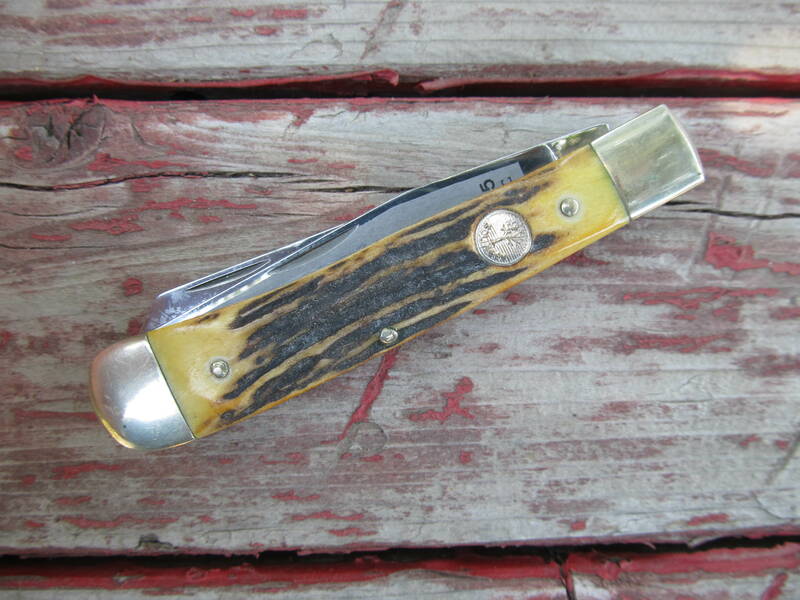 Back in the 90's when I raised cattle, the only knife I carried was a Earl Schlieper Eye Brand sodbuster knife purchased at the local farm store. 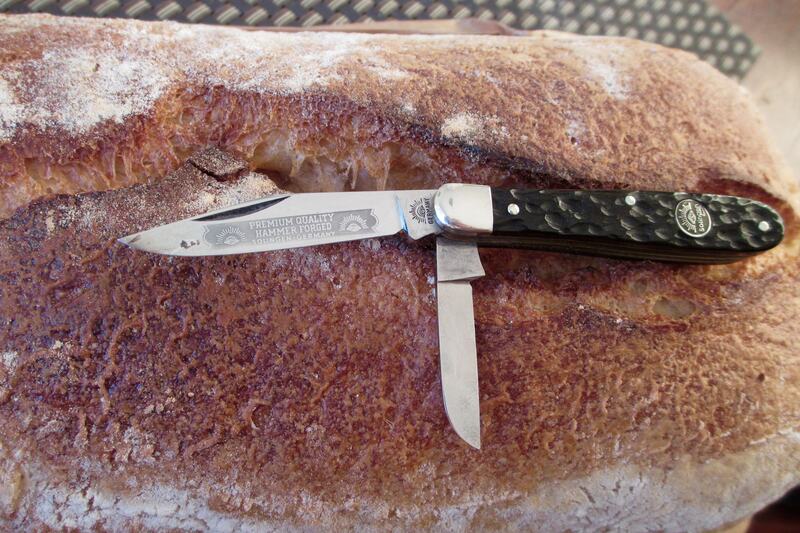 It was a superb knife. A couple years ago, remembering those knives, I purchased another one. I am sad to say as far as fit and finish it is the poorest quality sodbuster I have (and I have quite a few). Don't get me wrong. 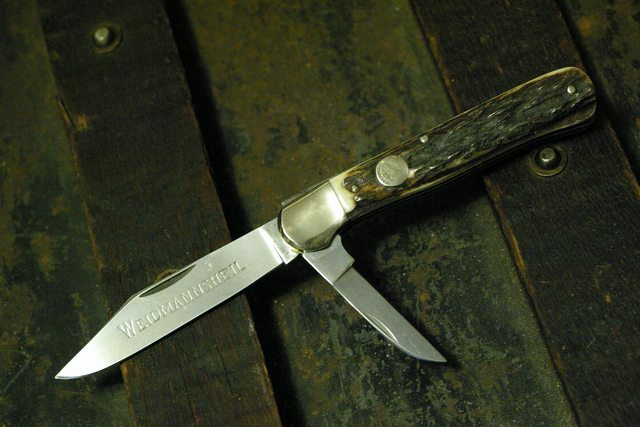 I love German made knives but I was very disappointed with this particular maker. Small Eye at 3" closed... Tadpole type pattern, thick bone scales, no gaps, good W&T. Raised spring on open and the minor blade favours the liner but no rub. Good blade combo though. Travman, Spaten, The Fort and 3 others like this.